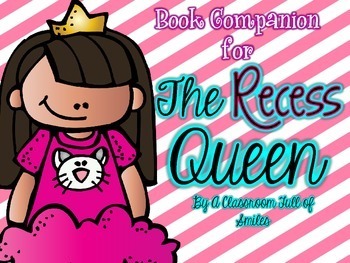 The Recess Queen is becoming a favorite story to read at the beginning of the school year. It has drama, humor, and vivid vocabulary. I've created the perfect companion to go along with this story. There are TONS of activities. 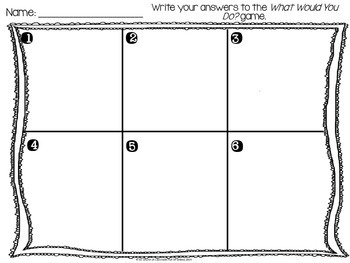 *Discussion cards with detailed scenarios that happen in school everyday. 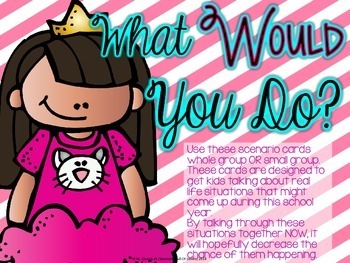 Use these cards to talk about the proper way to handle these situations.